Sharp's Rolling Out New Smartboards! Sharp just announced the expansion of its award-winning AQUOS BOARD interactive display line for smaller spaces! The new 50" Class (49.5" diagonal) PN-L501C AQUOS BOARD interactive display system is ideal for the increasingly popular "huddle space" meetings and can help users optimize communication in these compact areas. At 100 nits brighter than the PN-L401C model released last year, it also boasts a 25 percent larger diagonal inch measurement and has a 56 percent larger area than the previous model. The PN-L401C/501C product line has 10-point multi-touch functionality and high-sensitivity capacitive touch technology that provides precise and smooth operation, enhancing the interactive information experience. Both displays share features with other models in the award-winning AQUOS BOARD interactive display line, including the Sharp Pen-on-Paper™ user experience, which resists fingerprints and scratches, as well as providing an anti-glare surface. In addition, Sharp's 2 mm-tip touch pen is ideal for writing fine lines and text onscreen. It also offers Full HD (1,920 × 1,080-pixel) resolution and advanced connectivity. "We're thrilled to add the PN-L501C to the AQUOS BOARD interactive display family, making it our most expansive AQUOS BOARD interactive display product line to date." said Gary Bailer, Director of Product Planning and Marketing for Pro AV Products at Sharp Imaging and Information Company of America. 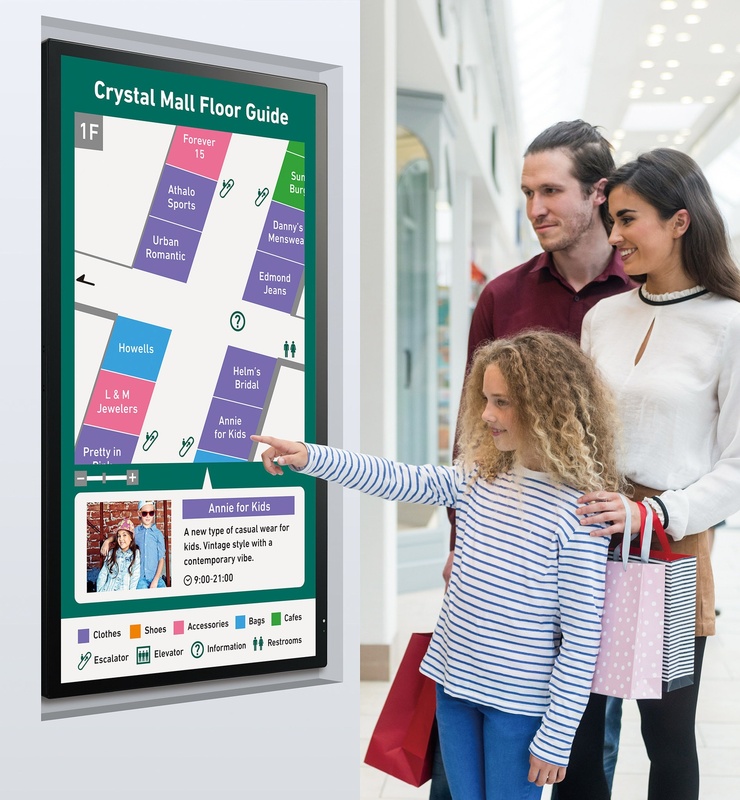 "These displays are not only powerful meeting tools for corporate and academic environments, but they can also be used to engage and inform people in stores, museums, showrooms and other public spaces." The PN-L501C AQUOS BOARD interactive display is now available for shipping. Give us a call to see if a Sharp AQUOS Board is a good fit for your organization!